What is Animal Hoarding? Animal Hoarding is defined as a compulsive need to possess and control animals. Animal hoarders acquire too many pets and they live in an unsanitary environment. Hoarders are deeply attached to their pets and they do deeply feel they can properly care for them. These animals are living without proper medical attention, space, nutrition or sanitation. The problem begins when the number of animals overwhelms the resident and the animals take over the home. This leads to living in an unsanitary environment and usually costly code violations. Animal hoarders can be men or women of any race, education or income level. Animal hoarding in adults can be triggered by an event or situation such as a loss, health issues or financial hardships. Animal hoarders have also been known to hoard objects, approximately 40 percent of object hoarders also hoard animals. Animal hoarders genuinely believe they are helping the animals in their care. Animal hoarding occurs in every community, and it is estimated that there are three to five thousand cases each year in the US, involving up to 250,000 animals. Domestic pets are the most likely to be found in animal hoarding such as cats and dogs. They are easy to acquire and cats are easy to hide. People do hoard many types of animals, sometimes even exotic such as snakes or lizards. There have been cases of hoarding including birds, ferrets, rabbits, chickens and even goats, just to name a few. If you are concerned that a loved one or a neighbor may be hoarding animals, contact your local animal rescue organization for guidance on how to best deal with the problem. 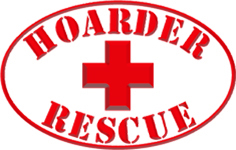 Our Hoarder Rescue Team can clean up the mess left behind in these situations, leaving no trace that animal hoarding ever happened in that particular environment. Conditions often become extreme and professional cleanup is necessary to ensure healthy living. We can work with you to correct code violations. Deep cleaning, disinfecting and removal of all debris and animal waste is included in our animal hoarding cleanup. Please contact us for more information or for a free estimate.